We didn’t feel as though Divine Consultant can really give students what they need in a writing service. The writing leaves a lot to be desired from a professional company. You want to demand more from any service that you’re paying for a paper. There’s lots more better writing services out there, so keep reading reviews to find them. Now and then you need an extra hand with your assignments. Divine-Consultant.com look good and seem like they know what they’re doing, but are they as good as they seem? If you’re picking a writing service, you need to pick based on the strength of their writers. Who’s writing at DivineConsultant? Right now, there are 50 writers working with them, 12 of whom are from the UK. There are 16 writers with Masters degrees, and 5 with PhDs. With such a small pool of writers, that’s an even smaller number with higher level degrees. Will you get a writer who’s knowledgeable in your subject? When checking out this service, you need to take a look at what they say about data privacy. After all, they look very much legit, but how do you know they’re not a service that will sell on your data as soon as they have it? There’s a section of their homepage that says yours data is secure with them, but that’s not a lot to go on. How can you know for sure? If you’re going to buy with Divine Consultant, are you going to get what you’ve paid for? You don’t want to pay money for something that isn’t ideal. Are they able to give you what you need? We’ve been looking at samples of their work, and we have noticed a worrying trend. In many cases, there are no citations used in text, or if there are, they aren’t implemented correctly. You’ve got to be careful as universities will come down hard on citation errors, so is that what you want from a paid service? 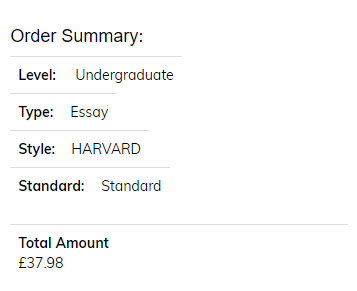 The price of your essay will depend on what you need. As an example, take a 2 page 2:1 level essay, due in 10 days. Here, this will cost £37.98. You can get a discount of 20% off your first order, bringing that price down. There’s also the option to buy a Turnitin report for £6, although there are no other services available at this time. This pricing is fairly in line with other writing sites online. As you’d expect, there is a customer service team online who will help you with any queries about your order. They’re available 24/7 so you can get in touch whenever you need them. Customers are pointing out though that you can’t always get what you need from them. Some say they tried to get refunds on their orders, but the refund policy was much stricter than they were lead to believe.